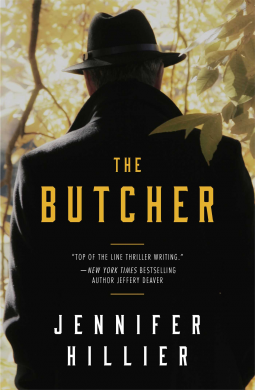 Blurb: From the author of the acclaimed suspense novels Creep and Freak and whom Jeffery Deaver has praised as a “top of the line thriller writer,” The Butcher is a high-octane novel about lethal secrets that refuse to die—until they kill again. I first saw this book mentioned in a NetGalley email and was immediately intrigued. So I requested access and was glad to snag an e-galley. This one is a tough one to describe. Here’s the deal: you know exactly who the Butcher is within the first chapter. I’m not entirely sure I liked that strategy. Nothing … and I mean nothing was a surprise in this book. I hate to use this word, but it was so predictable. That’s why I can’t rate it higher than a 3. Overall it was a good book in general. I would recommend it, but if you like a lot of twists and turns, this one might not be for you. But it does read quickly and easily and kept me quite entertained. Next postAnother week in paradise….